America the Beautiful commemorative coins are one of the hottest selling precious metal coins from the United States Mint at the moment. Trailing only the Gold and Silver Eagles in popularity, ATB Silver coins offer variety in design and brilliant finishes that attract collectors around the globe. 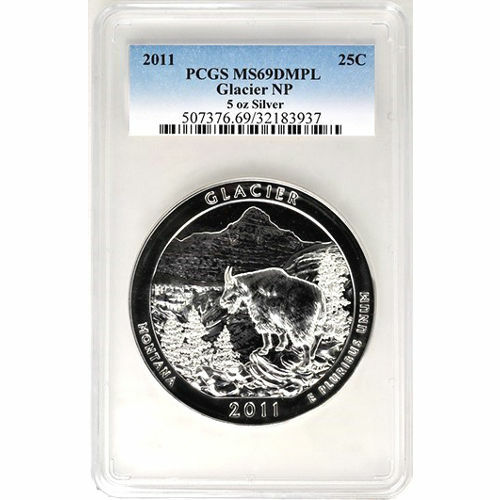 Right now the 2011 5 oz ATB Glacier Silver Coin is available on Silver.com with PCGS certification. Only 3,248 coins currently exist in this grade and condition from the PCGS! Second coin released in 2011 and seventh overall in the America the Beautiful series. Graded Mint State 69 by the PCGS. Honors Glacier National Park in Montana. Glacier National Park is one of America’s few remaining untouched, unspoiled wilderness regions. Located in the state of Montana, the park was formalized on February 22, 1897. Today it represents the state of Montana on the America the Beautiful series, a 56-coin series from the US Mint. 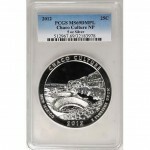 Each of the 2011 5 oz ATB Glacier Silver Coins in this Silver.com listing has a near-perfect grade of Mint State 69. According to the PCGS, these coins have their full, original luster, and may also feature a maximum of two minor detracting flaws on the surface. Additionally, these coins have a deeply-mirrored finish. The DM designation is for bullion and proof coins that have a stunning, mirrored finish to the background fields of the coin. On the reverse face of the coin you’ll find the image of a bighorn sheep looking down over a valley in Glacier National Park. Engravings identify the state, name of the park, and year of issue for the coin. The obverse features the familiar left-profile portrait of President George Washington. 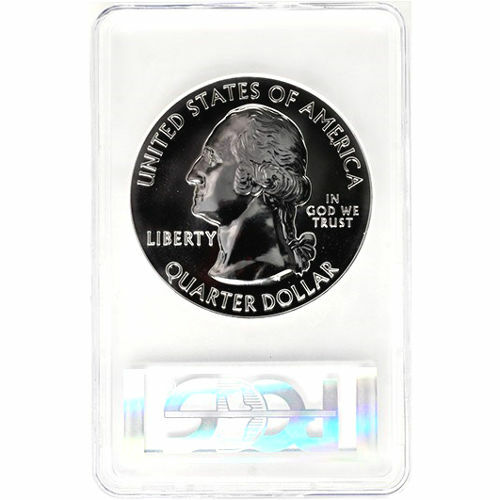 Still featured on American quarter-dollar coins today, the image was created in 1932 by John Flanagan based upon a 1786 bust of the nation’s first president by William Cousins. If you have any questions, please feel free to reach out to Silver.com on the phone at 888-989-7223. You can also contact us online using our live web chat feature or by submitting your questions via email.